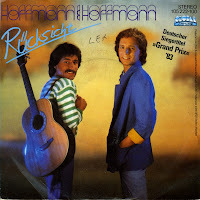 During the 1983 Eurovision Song Contest, Germany was represented by the brothers Michael & Günter Hoffmann, who performed the song 'Rücksicht' ('Regard' or 'Respect'). The song is sung from the perspective of a man attempting to understand where his relationship went wrong. He says that he is not the only one to blame, as neither he nor his lover gave any real consideration to the other. 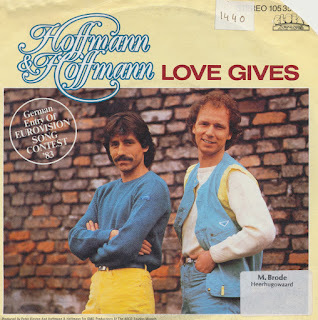 The song classified as 5th in a field of 20 participants, which was one of Germany's better achievements during the Eighties. Günter Hoffmann's died a year after the Contest, after hurling himself out of a hotel window in Rio de Janeiro on March 15, 1984.